Our family spent a week at the house in November. It exceeded our expectations and made for a pleasant and relaxing family vacation. The house has everything we needed. We found it comfortable and relaxing. We have 2 small children and took advantage of the wagon and beach toys in the garage. We also liked that the pool was accessed through a seperate side door or garage making it safer with regards to children. The pool was always the perfect temperature and a late afternoon swim became a perfect ending to a day, as the gulf was just a little too chilly. The beach is close. Just walk down the street, past 4 houses, cross the road, and you are there. Publix grocery store isnt much further and very walkable. Alison and AJ were very reponsive to all our questions and the house was as clean as promised. The area is relaxed and easy to navigate. We mainly ate at the house but ventured out to Times Square for a meal and ate many $1 tacos at Yo Taco on Estero. 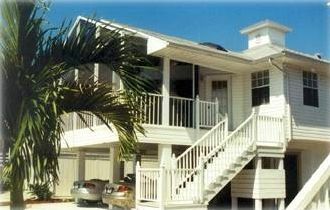 We will absolutely consider the house for our next Florida vacation. Thank you- we hope you will stay with us again and share your experience! !